When Brisbane Limousines first commenced business, we were very surprised how little information was publically available about the cost of limousine hire Brisbane. We conducted thorough searches of the internet but came to the realisation that an individual must submit a quote request to companies before they are able to work out an approximate limousine hire Brisbane cost. The location of the depot of the business relative to the location of the service the customer desires. The duration of the limo hire. Whether the limo hire company specialises in special occasions, eg weddings, or general transport eg economy airport transfers. When you are considering limousine transport it makes sense that you’ll want to consider the type of vehicle. After all, the vehicle is what you’re really paying money for. Due to this, it’s likely that you’ll want a vehicle that reflects your personality or tells the right message about you. Some individuals like to be seen in large black Mercedes, whilst others prefer a vintage Volkswagen beetle. Everyone has their own preferences. Of course, the cheaper your preference of vehicle type, the cheaper your limousine cost is likely to be. This is because a significant component of limo hire cost in Brisbane relates to the cost of the vehicle type. A second key component of the cost of limousine hire in Brisbane is the number of seats in the vehicle. The reason for this is similar to those addressed in point 1 above. This is largely because the higher the greater the number of seats in a stretch limousine, the more it would have cost to build that limousine in the first place. As an example, a limousine that can carry only 7 passengers only needs to be stretched by approximately 1 metre. In addition, the interior seating is simple to build as it generally just consists of a regular set of rear seats that are installed backwards. Conversely, an 11 passenger limousine is significantly more expensive to build. For a start, an 11 passenger limousine requires a standard vehicle to be stretched by an additional 3 metres. This is a very long stretch which requires complex engineering and structural modification. In the interior of an 11 passenger limousine the seating generally has to be custom made. On top of all these considerations, the 3 metre stretch adds around 1 tonne of additional weight to the limousine. This additional weight means that wheels, suspension, brakes and driveline all need to be upgraded. The huge cost of building such a long limousine means that when you hire a stretch limousine with 11 seats in Brisbane you can expect to pay a much higher price than for a smaller limousine. The location of the depot of the limousine business compared to the location where the limo hire service is provided has a massive impact on the cost of limousine hire. For example, where a limousine depot is located on the Gold Coast, but the limousine service is provide in Brisbane, this adds a number of additional costs. For a start, the additional travel requires approximately two hours additional labour to relocate the vehicle to Brisbane and then back to the Gold Coast. At a cost of approximately $30 per hour plus superannuation and other on costs, this adds up to around $70. On top of this labour cost is the additional fuel and wear and tear costs. For 200 kilometres in a large heavy stretch limousine, this can add up to around an additional $45 in fuel costs. As you can see, these two costs alone already add up to $115 on top of the costs that would be incurred if the same limousine service was provided by a local limousine operator. As a result, a key component in obtaining the lowest limousine cost is to find a provider that does not have to travel a long way from the depot to provide your limousine services. The duration of your limousine hire forms a key component of the cost of your limousine hire. As discussed above in point number 3, the cost of a driver (including waiting time) is approximately $30 per hour plus on costs. In addition to labour costs for drivers is the cost of fuel. Large stretch limousines use around 20 litres of fuel per 100 kilometres. Whilst not every limousine services that hire the limousine for a longer period of time also cover more kilometres, there is a positive relationship between these two factors. In addition to labour and fuel costs are the greater wear and tear costs on the limousine for the longer it is hired. In conclusion, if you are trying to keep you limousine costs low, consider closely how long you need your limousine and try to minimise this hire time. 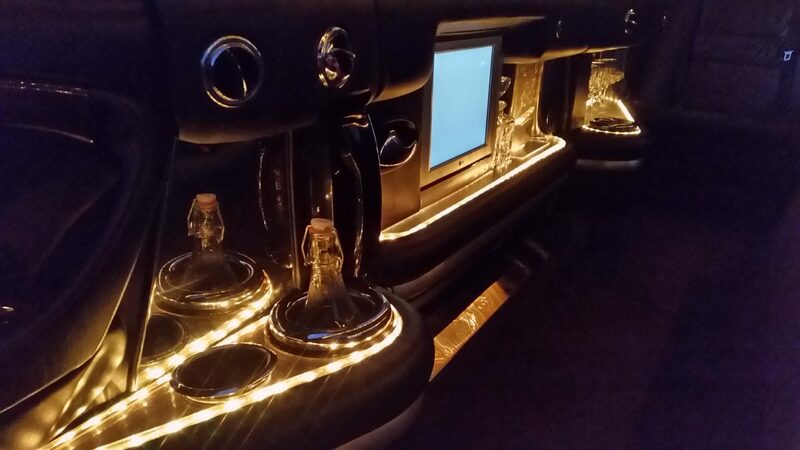 This entry was posted in limo hire brisbane and tagged brisbane limo price, brisbane limo prices, brisbane limousine prices, brisbane limousines, cheap limos brisbane, gold coast limo cost, limo cost, limo price, limo prices, limousine cost, limousine prices, price of limousine.